After contacting and informing the FVRA club President of my plight, he suggested (insisted) I check out a Wednesday evening practice with the women’s racing team. In my desperation, I couldn’t refuse. 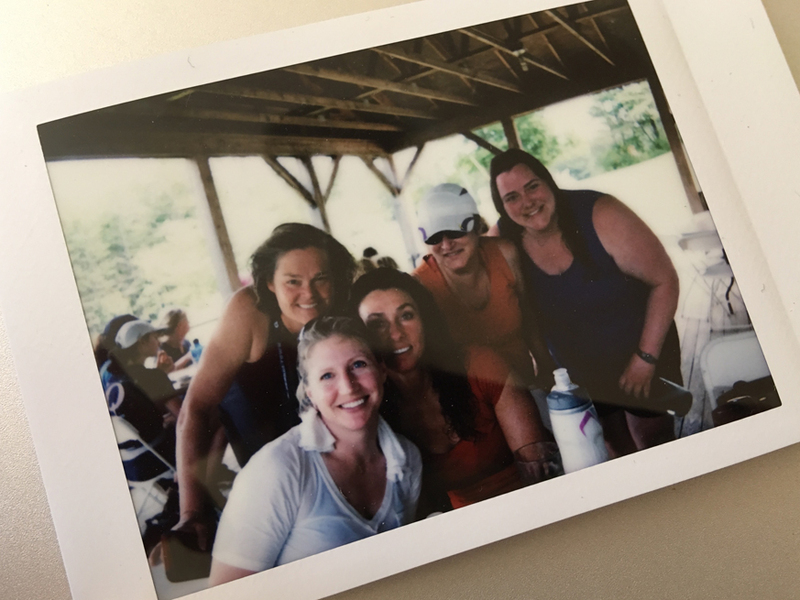 Approaching an already established group of strangers has never left me especially glee-ridden, but the desire to step back into a boat and pull an oar through the water helped to tamp down the burning social anxiety I was feeling upon approach. Karen Franzen was the very first person I encountered. She too was new to the group and also new to rowing. A long-time cyclist and athlete, she was in shape. I was not. She was nursing an injury and had found rowing because it’s gentler on the joints and body. I found rowing watching a movie in college. Funny how different paths deliver us to the same destination. 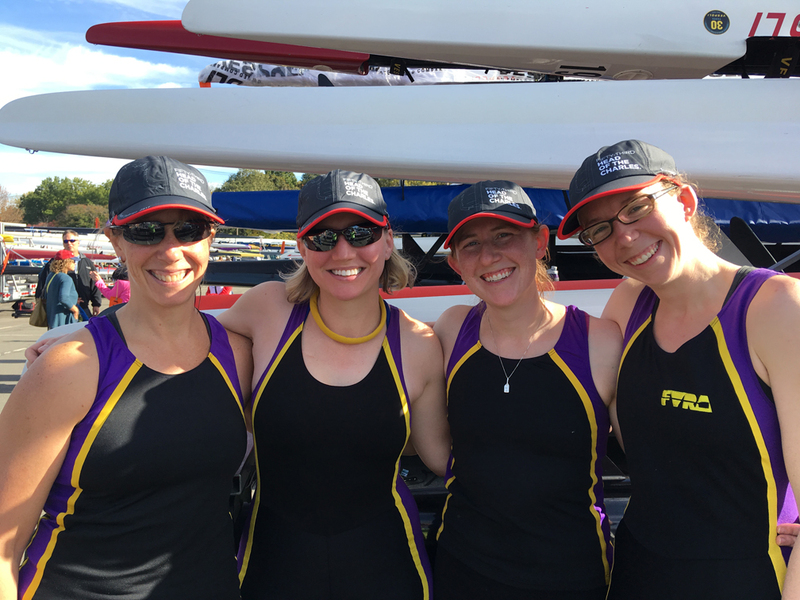 Because I was an extra rower that evening, someone in the original 8+ lineup needed to be taken out, so the coach informed a rower named Sabrina to instead row a 1x that evening. I felt terrible. I assumed she would forever resent me because of this (she wouldn’t, the following year she spent the entire summer teaching me how to scull in the 2x for which I am eternally grateful). I was nervous stepping into the boat, but after a thorough warm up, and few strokes, and a few more, everything came back. It became quickly apparent (at least to me) that I was behind in skill level and my physical fitness. While the row that Wednesday evening wasn’t easy by any stretch, I stayed on with the team. Six years later, I’m still rowing with FVRA. I did get my 1x and rack space for it. I also got so much more. I’ve made so many friends, some of whom I’ll have and hold close for years to come if and when rowing is no longer the common thread between us. 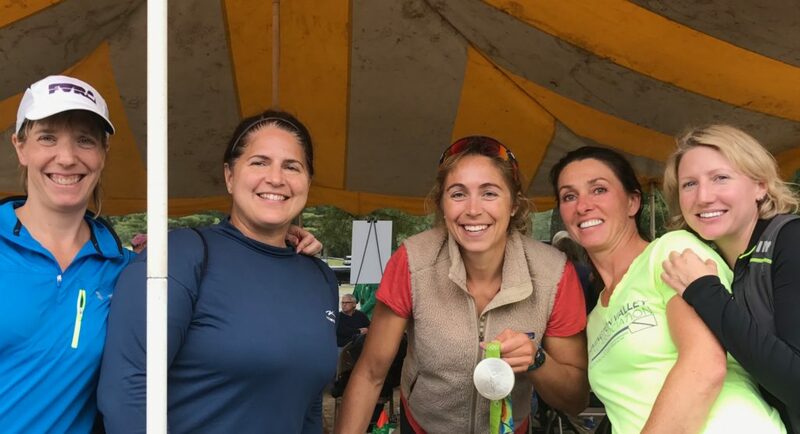 Each summer FVRA members pilgrimage to Craftsbury, Vermont to row with top-notch coaches and without home and work life distractions. We spend nearly every Sunday of the year together at either practice on the water, winter training at Trinity College, or racing at a regatta. As far out as I can see every Sunday of my life is spoken for and will be spent with this club. Rowing is the rule; anything else is the exception. For us it’s like church and we are dutiful congregants. I’ve also had the privilege to meet Olympic rowers and clutch their gold and silver medals. I’ve built a worldwide network of rowing acquaintances. The racing team has trained hard and traveled great distances for races (one we never got to race). Sometimes we take home medals. But we’re always in it together, through good weather and bad (literally and metaphorically). There is immense laughter and occasional tears. It’s nearly almost always fun. All of this is what makes being part of a team so distinct be it a team of 2, 4 or 8 or the larger team of the entire club. I feel fortunate I don’t remember life without FVRA.